Draft: 2012, Minnesota Twins, 2nd rd. Jon Thomas Chargois (pronounced SHA-gwah)…graduated from Sulphur (LA) High School in 2009, where he pitched and played shortstop…earned 5A All-State honors, named First-Team All-District 3-5A pitcher and selected to the 2009 All-Southwest team after posting a 1.02 ERA in 61.2 innings, while also hitting .393 with 12 home runs and an .827 slugging percentage...attended Rice University from 2010-12, going 7-5, 3.63 ERA (72.0 IP, 29 ER) with 10 saves, 25 walks and 59 strikeouts in 47 career games (two starts)…named First-Team All-Conference USA in 2012, going 4-1, 2.15 ERA (37.2 IP, 9 ER ) with eight saves, 12 walks and 38 strikeouts in 25 games; led Rice and was among Conference USA leaders in saves...was teammates with current Dodger reliever Tony Cingrani at Rice University, along with RHP Tyler Duffey and INF Anthony Rendon…selected by the Minnesota Twins in the second round of the 2012 First-Year Player Draft and was signed by scout Greg Runser. In his first season with the Dodgers, went 2-4 with a 3.34 ERA (12 ER /32.1 IP) and struck out 40 batters against 15 walks in 39 games for Los Angeles ... Limited opposing hitters to a .222 batting average, including a .205 mark (18-for-88) against right-handed hitters ... Recorded his first win as a Dodger and his first win since Sept. 10, 2016 vs. CLE on May 3 at ARI, tossing a perfect inning of relief against the Diamondbacks ... Placed on the 10-day DL from Aug. 21-Sept. 24 with nerve irritation in his neck. Appeared in just two games with Minnesota's Triple-A Rochester, tossing 2.2 scoreless innings of relief with one save before being placed on the disabled list for the remainder of the season. 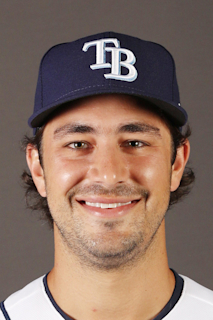 Optioned from Twins spring training to Double-A Chattanooga March 14...Pitched in 11 games for the Lookouts, posting a 1.54 ERA (11.2 IP, 2 ER) with seven saves and was promoted to Triple-A Rochester May 10...Pitched in 11 games for the Red Wings, posting a 0.73 ERA (12.1 IP, 1 ER) and was recalled by Minnesota July 26 (Trevor May - disabled list)...Made major league debut June 11 vs. Boston, allowing five runs on three hits in 0.2 innings pitched...Optioned back to Triple-A June 12 when Twins claimed Neil Ramirez off waivers...Selected to play in the SiriusXM Futures Game July 10 at PETCO Park, allowing three runs on two hits and did not record an out...Recalled by Minnesota August 10...Posted a 2.82 ERA (22.1 IP, 7 ER) from August 11 through the end of the season (excludes his 5 runs allowed in ML Debut)...Earned first major league win September 10 vs. Cleveland, pitching 1.0 scoreless inning...Posted scoreless appearances in 12 of final 13 games from September 5-October 1, including nine consecutive (9.0 IP) September 5-22...Combined to go 3-2, 2.45 ERA (69.2 IP, 19 ER) with 25 walks and 72 strikeouts in 64 games between Chattanooga, Rochester and Minnesota...Named 11th best prospect in Twins system by Baseball America, entering 2017. Began season with Single-A Ft. Myers. A 15 of 16 appearances for the Miracle were scoreless, including a stretch of 14 straight (13.2 IP) April 17-May 23... Promoted to Double-A Chattanooga May 26....Named Florida State League All-Star but did not pitch in the game June 20 at Port St. Lucie, due to promotion....Allowed just one home run on the season, a solo shot by Christian Marrero July 3 vs. Birmingham, while with Chattanooga....Went 11-for-11 in save opportunities for the Lookouts, including saves in five straight games June 9-21....17 of final 18 appearances for Lookouts were scoreless, posting a 0.46 ERA (19.2 IP, 1 ER) from July 15 through end of season.... Held left-handed hitters to a .171 (13-for-76) average while right-handers hit .243 (25-for-103) at both levels combined.... Combined to go 2-1, 2.63 ERA (48.0 IP, 14 ER) with 15 saves, 25 walks and 53 strikeouts in 48 games at both levels... Ranked eighth in the Southern League in saves (11), despite playing in 32 games for Chattanooga...Ranked second in the Twins organization in saves (15), trailing only Glen Perkins (32)....Added to Twins 40-man roster November 20....Ranked 15th best prospect and best fastball in Twins system by Baseball America, entering 2016. Missed the entire season due to recovery of Tommy John surgery. Missed entire season with a right forearm strain...underwent Tommy John surgery in September. In his first professional season, he posted a 1.69 ERA (3 ER/16.0 IP) and recorded five saves in 12 relief appearances with Minnesota's Rookie-level Elizabethton Twins...struck out 22 against just five walks, while limiting hitters to a .182 average. April 9, 2019 Los Angeles Dodgers recalled RHP JT Chargois from Oklahoma City Dodgers. March 21, 2019 Los Angeles Dodgers optioned RHP JT Chargois to Oklahoma City Dodgers. September 24, 2018 Los Angeles Dodgers activated RHP JT Chargois from the 10-day disabled list. August 21, 2018 Los Angeles Dodgers placed RHP JT Chargois on the 10-day disabled list. Nerve irritation. June 30, 2018 Los Angeles Dodgers recalled RHP JT Chargois from Oklahoma City Dodgers. May 23, 2018 Los Angeles Dodgers optioned RHP JT Chargois to Oklahoma City Dodgers. February 23, 2018 Los Angeles Dodgers claimed JT Chargois off waivers from Minnesota Twins. November 6, 2017 Minnesota Twins activated RHP J.T. Chargois from the 60-day disabled list. September 5, 2017 Minnesota Twins placed RHP J.T. Chargois on the 60-day disabled list. April 28, 2017 Rochester Red Wings placed RHP J.T. Chargois on the 7-day disabled list retroactive to April 27, 2017. Right elbow impingement. March 24, 2017 Minnesota Twins optioned RHP J.T. Chargois to Rochester Red Wings. August 10, 2016 Minnesota Twins recalled J.T. Chargois from Rochester Red Wings. June 13, 2016 Minnesota Twins optioned RHP J.T. Chargois to Rochester Red Wings. June 10, 2016 Minnesota Twins recalled J.T. Chargois from Rochester Red Wings. May 10, 2016 RHP J.T. Chargois assigned to Rochester Red Wings from Chattanooga Lookouts. March 14, 2016 Minnesota Twins optioned RHP J.T. Chargois to Chattanooga Lookouts. November 20, 2015 Minnesota Twins selected the contract of J.T. Chargois from Chattanooga Lookouts. May 26, 2015 RHP J.T. Chargois assigned to Chattanooga Lookouts from Fort Myers Miracle. April 7, 2015 RHP J.T. Chargois assigned to Fort Myers Miracle from Elizabethton Twins. September 17, 2014 Elizabethton Twins activated RHP J.T. Chargois from the 60-day disabled list. June 19, 2014 RHP J.T. Chargois assigned to Elizabethton Twins from GCL Twins. September 20, 2013 GCL Twins activated RHP J.T. Chargois from the 7-day disabled list. June 21, 2013 RHP J.T. Chargois assigned to GCL Twins from Elizabethton Twins. July 11, 2012 J.T. Chargois roster status changed by Elizabethton Twins. June 18, 2012 RHP J.T. Chargois assigned to Elizabethton Twins. June 17, 2012 Minnesota Twins signed RHP J.T. Chargois.